Astronaut spacepack water blaster - spacekids - space toys, dressing up costumes, kids spacesuits, astronaut food, cool space stuff! With this astronaut space pack, your little astronaut will be ready for anything, no matter what kind of dangers await him in outer space! The toy space pack comprises a backpack with astronaut themed gauge decals that can be filled with water,. 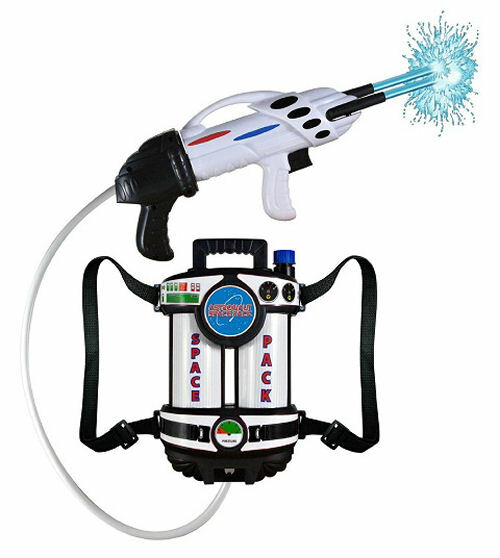 The blaster is attached to the pack with a pliable hose and features dual water spraying nozzles. With a pump of the pump action handle, water sprays out up to 30 feet away! The water blaster even features a second trigger which spreads the nozzle to fire in two different directions at the same time!